Great place to be positive energy and happy to be here! Never leave unhappy. Professional Salon on PGA - Avant Garde Salon Services - Cutting & Styling Services - Women’s Cut & Style - Men’s Cut & Style - Children’s Cut & Style - Bang Trim - Blow Dry Style - Blowdry Treatments - Flat Iron - Formal Styling (by consultation) - Difiaba - Aloxxi - Keratin Complex - Partial - Full - Few Foils - Sun Kissed Balayage - Partial Balayage - Full Balayage - Toner - Glaze - Hairline Touch Up - Keratin Treatments and Blowouts - Keratin Blowout - Keratin Treatments - Corrective Coloring - Seamless Hair Extensions (by consultation) | Avant Garde salon is a modern, upbeat hair salon located in the Legacy Place Plaza in the heart of Palm Beach Gardens. We are a professional, experienced group of hair stylists who are on the forefront of cutting-edge hair services. 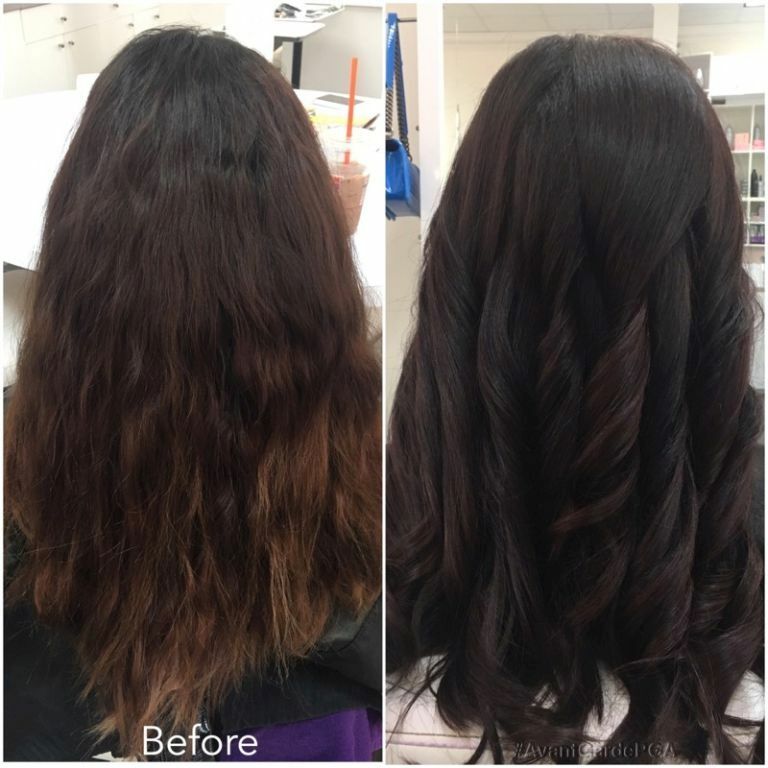 Our fashion inspired hair salon offers the latest in hair trends and exclusive services including: varying highlighting techniques, keratin hair smoothing treatments, hair extensions, waxing and professional makeup. All of our hair stylist are trained on Pivot-Point precision hair cutting, hair styling and chemical services. 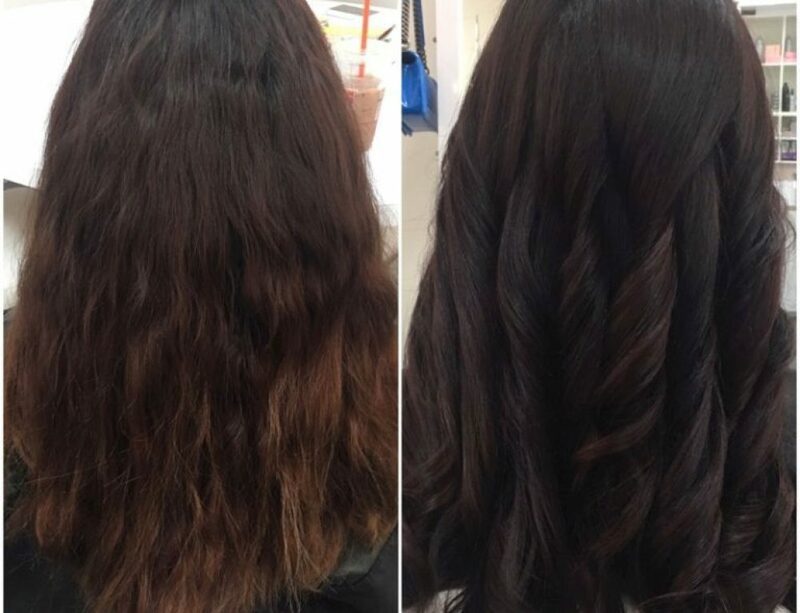 We offer all creative and classic hair cuts, coloring services such as foil highlighting, balayage highlights, (balayage highlights are free hand highlights with a natural grow out) ombré and specialty hair color. We believe in only using top of the line products, providing the absolute best customer service and experience possible! We also love helping brides and bridal parties with wedding hair and makeup. We provide personalized style advice so that you can find your signature look, plus we have a make-up artist on hand to guarantee you’ll look perfect for that special day. People often search for our hair salon using phrases like local hair salon, hair stylist, beauty salon hair styling, hair color in palm beach gardens, top rated hair salons near me, beautician salon, beauty parlor palm beach gardens, keratin smoothing treatment, hair salon palm beach gardens, hair extensions cost, find beauty salons, hair salon, best salon near me, extensions in palm beach gardens, hair salon, nearby beauty salons, hair stylist, balayage hair color, keratin treatment cost, beauty salon services, find beauty salon, pga hair salons, ombre hair palm beach gardens, hair color palm beach gardens, beauty salon palm beach gardens, hair stylist jupiter, best hair stylist, ombre hair, find hairstylist, best hair colorists near me, keratin treatment for hair, salon for hair, hair salon for hair coloring, best salon near me, best colorist, hair salon beauty, balayage hair salon, balayage highlights, ombre hair color, hair highlighting in, beauty salon locations, best hair salon, hairdresser jupiter, ten best hair colorists in palm beach gardens, beauty salon prices, balayage palm beach gardens, address for beauty salon, hair stylist salon, hair salon palm beach gardens, hair salon jupiter, balayage blonde hair, number for hair salon, balayage in palm beach gardens, local hairdresser, best hairdresser, local beauticians, hair extensions salon, find hair stylist, best beauty treatment, beauty parlor jupiter, find hairdresser, blonde highlights in palm beach gardens, number for hairdresser, hair extensions salons, hairdresser palm beach gardens, balayage hair palm beach gardens, best beauty salons, hair style salon, local beautician, good hair salons near me, best beauty salon, top colorist, beauty salon treatments, keratin blowout, beauty salons near, top beauty salon, local beauty salons, beauty parlor, certified hair colorist near me, balayage highlighting palm beach gardens, extensions salons, top hairstylist, best hair salons, local hairstylist, extension hair salon near, hairstylist nearby, best hairstylist, best beautician, best hair salon, best hair stylist, the top 10 womens hair colorists in palm beach gardens, extensions palm beach gardens, local beauty salon, beauty treatment, hair salon prices, best hair salon in, keratin hair treatment, beauty salon near me, ombre in palm beach gardens, beauty salon nearby, find hair salon, hair stylist in, find hair extensions, number for beauty salon, top rated hair salon, beauty salon jupiter, hair stylist palm beach gardens, balayage straight hair, hair salon opening hours and blonde highlighting in palm beach gardens. Have a nice day!